New Year is the time of the year when predictions about the future abound. Who are the people, places and ideas to watch in 2016? What’s the next big thing that will change our lives? We’ll all absorb as much of it as we can, in hope that we’ll be a little more ready for what comes next. But will we be? 2016 is also a major milestone for us. Worldways turns 20 in 2016. What we’ve been most inspired by over the years is how our colleagues, clients and co-conspirators work so brilliantly to be the change that they want to see in the world. They are not simply ready for the future. They are creating it. That’s the big lesson. 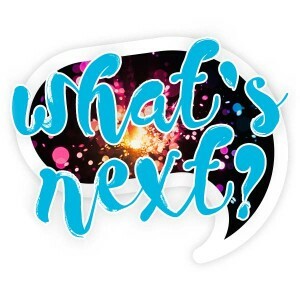 Being ready for what’s next means creating what’s next. So how do you do that? Think Differently. Futurist and systems theorist Lee Kaiser said “If you want to change the world, change your mind.” If you believe the future can be better, you will work for it. Believe. Stay Inspired. John Quincy Adams said “If your actions inspire others to dream more, learn more, do more and become more, you are a leader.” Find those who move you. Engage. Join In. There’s a SEAL team saying “Individuals play the game, but teams beat the odds.” Join organizations that share your vision and expand your network.Team Up. Leverage Tools. Bill Gates said “If you give people tools, paired with their natural ability and curiosity, they will surprise you well beyond expectations.” Find and use best practice. Equip Yourself. Change Systems. Systems theorist R. Buckminster Fuller said “You never change things by fighting the existing reality. To change something, build a new model that makes the existing model obsolete.” Challenge the status quo. Reframe the Solution. Over the course of this our 20th year, we’ll be celebrating the people, places and ideas that are making a powerful and positive difference in the health and well-being of individuals and communities throughout the world. In other words, we’ll be celebrating you. Stay connected with us through our blog, Facebook and Twitter as we shareinnovation and inspiration you can use to accelerate social impact. On behalf of co-founders Maureen Cronin and Mark Marosits and the entire Worldways team, thank you for all you do to make our world a better place!